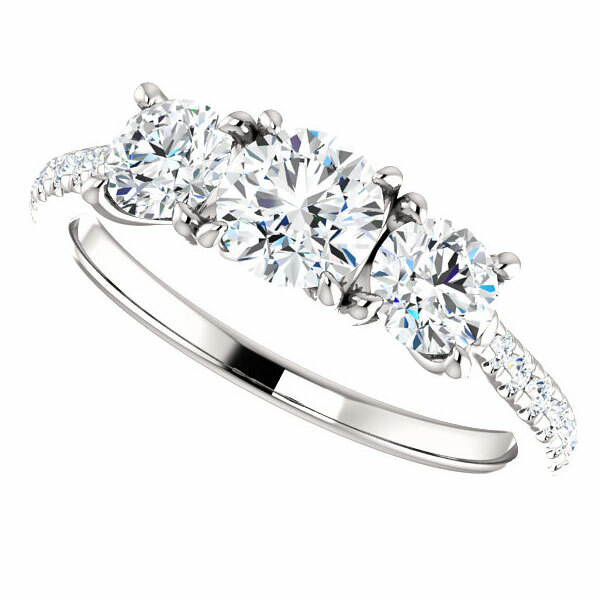 Beautiful sparkling diamonds and a stunning design are sure to capture your heart when you slip this 1 1/3 carat French-set 3-stone diamond engagement ring from Apples of Gold Jewelry onto your finger. 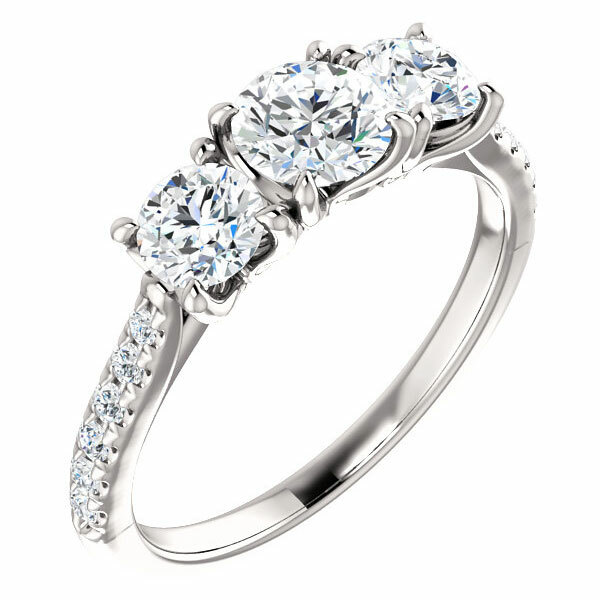 The lovely engagement ring is available in your choice of 14K or 18K white gold or platinum, and features a large diamond in the center with a slightly smaller diamonds on each side, with small accent diamonds going down each side of the band. The diamonds total 1.33 carats - the center stone is 0.50 carats, the 2 side stones are 0.33 carats, and the diamonds on the band total 0.17 carats. 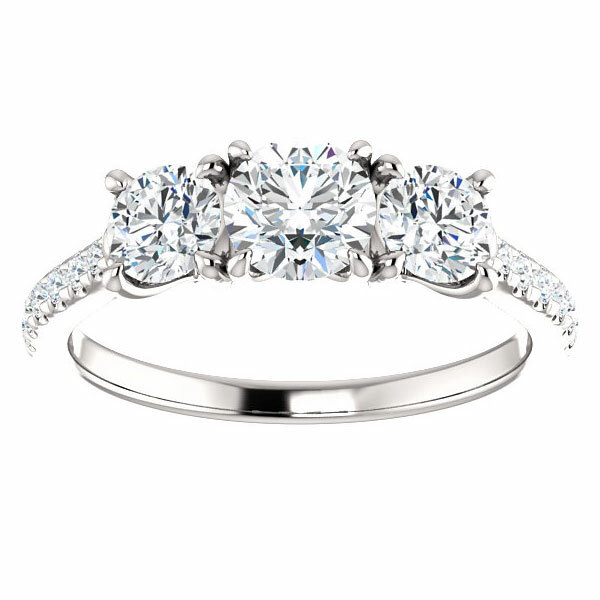 The setting top height on the engagement ring is 5mm. Please allow 7-10 business days before shipping for 14k or 18k white gold and 2-3 weeks for platinum orders. Apples of Gold Jewelry guarantees the 1 1/3 Carat French-Set 3-Stone Diamond Engagement Ring to be of high quality and an authentic engagement ring with real diamonds, as described above.